December 20, 2016 Amazon, Intersect Illinois and the Illinois Department of Commerce today announced that Amazon plans to open two fulfillment centers in Aurora, Illinois. The facilities will add more than 1,000 additional full-time jobs with benefits to the state. The company currently has fulfillment centers operating in Edwardsville, Joliet and Romeoville with another fulfillment center under construction in Monee. “With a talented workforce, central location in the Unites States and the North American market, and a world-class transportation hub, Illinois is proving it has assets no other state can offer,” Schultz added. During the past two years, Amazon has announced eight fulfillment centers in Illinois. Once the latest investments complete construction, Amazon will have created more than 7,000 full-time jobs for Illinoisans. 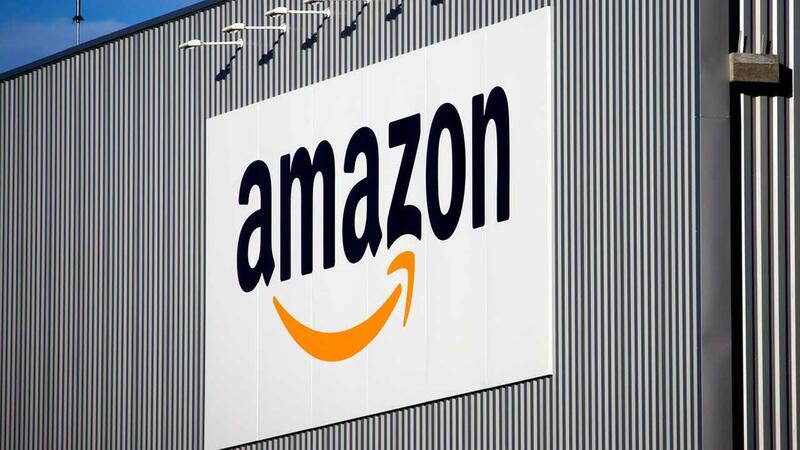 Full-time employees at Amazon receive competitive hourly wages and a comprehensive benefits package, including healthcare, 401(k) and company stock awards starting on day one, as well as generous maternity and parental leave benefits. Amazon also has a longstanding commitment of hiring military veterans and spouses for careers across the company, including at its fulfillment centers. The company recently announced a commitment to hire 25,000 military veterans and spouses in the U.S. during the next five years and train 10,000 in cloud computing. At the nearly 1-million-square-foot facility in Aurora employees will pick, pack and ship small items to customers such as books, electronics and consumer goods. The other facility, spanning 400,000-square-feet, will specialize in handling larger items like big-screen televisions. Illinois competed with several other states for this project, and the Department of Commerce worked tirelessly to bring these new jobs to Illinois. The EDGE program is the State’s primary mechanism to help encourage job creation and capital investment in Illinois. In addition to competitive wages and comprehensive benefits, Amazon also offers employees innovative programs like Career Choice, where it will pre-pay 95 percent of tuition for courses related to in-demand fields, regardless of whether the skills are relevant to a career at Amazon. Since the program’s launch four years ago, more than 7,000 employees in 10 countries have pursued degrees in game design and visual communications, nursing, IT programming and radiology, to name a few. To learn more about working at an Amazon fulfillment center, visit www.amazondelivers.jobs. Shorr Packaging Corp. celebrated its new 242,732 square-foot headquarters with a ribbon-cutting ceremony at 4000 Ferry Road in Aurora, Illinois. Shorr’s new state-of-the-art building is one of Aurora’s newest business developments. CME Group announced that it has entered into a definitive agreement to sell its suburban Chicago data center in Aurora, Ill. to CyrusOne, Inc., (NASDAQ: CONE) a global data center services provider, for $130 million. The transaction is subject to customary closing conditions. As part of the sale, CME Group will enter into a 15-year lease for data center space and will continue to operate its electronic trading platform, CME Globex, from the data center and will offer co-location services there. CME Group will have the ability to expand co-location services within the leased space going forward. The agreement also outlines the ways in which CyrusOne and CME Group will enhance the range of services available to their mutual customers through connectivity, hosting and data offerings. “CME Group is pleased to work with CyrusOne to maintain our co-location services while reducing our real estate holdings in line with our growth strategy,” said CME Group Chief Financial Officer John Pietrowicz. “This transaction allows us to enter into a long-term lease to meet our data center needs while focusing our resources on what we do best – running our exchanges, providing global risk management and offering a broad range of technology services. Further, by entering into this relationship with CyrusOne, CME helps to ensure that our customers will have cost-efficient access to an even broader set of infrastructure and data services, including disaster recovery, cloud access, data storage and high-performance computing.” “The acquisition-leaseback of this facility offers unique advantages to our customers involved in the global financial markets by providing connectivity to those transacting on the CME Globex platform. With this facility, and with CME Group as our tenant, we are excited to have the opportunity to expand the global risk management campus in Chicago – the preeminent financial services co-location hub in the industry – which will be a cornerstone of our unique and rapidly growing data center platform,” said Gary Wojtaszek, president and CEO, CyrusOne. “This acquisition helps solidify our position in the financial services market and will create additional FinTech opportunities by offering a unique ecosystem to our financial, energy, enterprise, and cloud customers.” Through this acquisition, CyrusOne will increase the size of its portfolio to 33 data centers across US, Europe, and Asia, and strengthen its offerings within the financial services market. The facility is approximately 428,000 square feet. It features next-generation security, fire protection, and infrastructure enhancements. (Aurora) – The Intelligent Community Forum named the City of Aurora as one of the world’s Smart21 Communities of 2015. This select group of communities will now be in contention for the prestigious designation of Intelligent Community of the Year in June 2015.